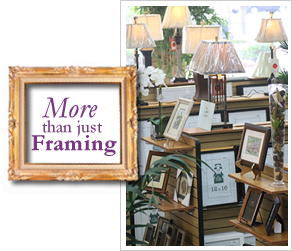 The Frugal Framer is a full service picture framing establishment with a large inventory of in-stock custom molding as well as a diverse selection of standard size ‘Ready Made’ frames. A full range of mats, mounting and glazing materials combined with an in-house workshop at each location and professional staff enables us to provide swift turnaround and high quality craftsmanship with each order. 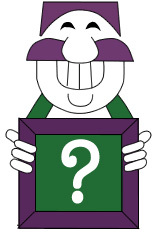 Each store has an experienced staff with years of framing and customer service experience and are happy to help you with design choices to suit any budget. No waiting, no sales, no coupon events. 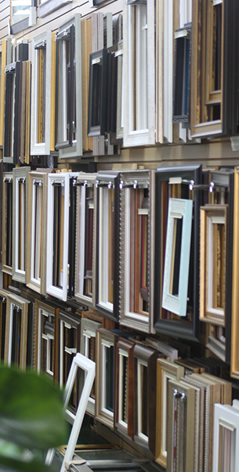 At The Frugal Framer you can be confident that your custom framing or favorite Ready Made style will consistently be available at a low price, not just when it’s on sale. Many sales or coupon events force you to ‘buy this’ to ‘get that’, but at The Frugal Framer the low price is the ‘low price’. No hidden costs, markups, restrictions or fine print. Affordable picture framing at its best. From simple wedding invitation layouts to multi-dimensional shadowboxes, The Frugal Framer looks forward to helping you with your next framing project. Store locations along the Treasure Coast in Stuart, Jensen Beach and Vero Beach allow us to service a wider area that includes Palm City, Hobe Sound, Jupiter, Port St. Lucie West, Fort Pierce, Sebastian, Juno, Tequesta and Palm Beach Gardens.